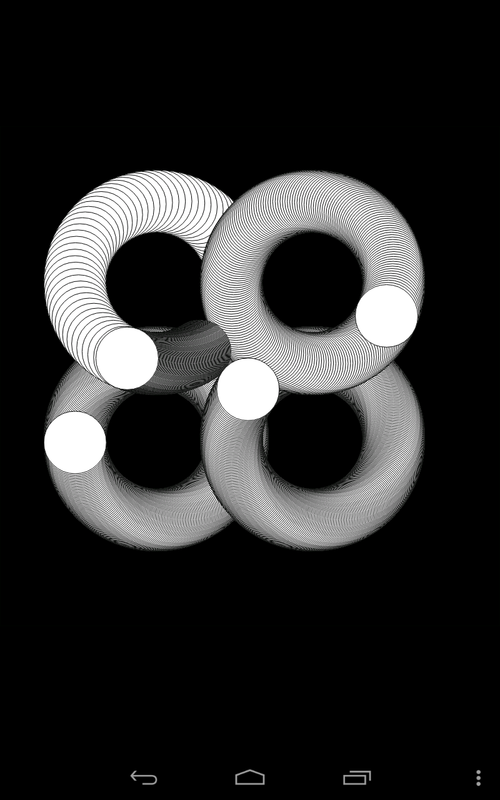 Chasing88 (or Reverse) is a black and white game based on the idea of clockwise/counterclockwise motion. 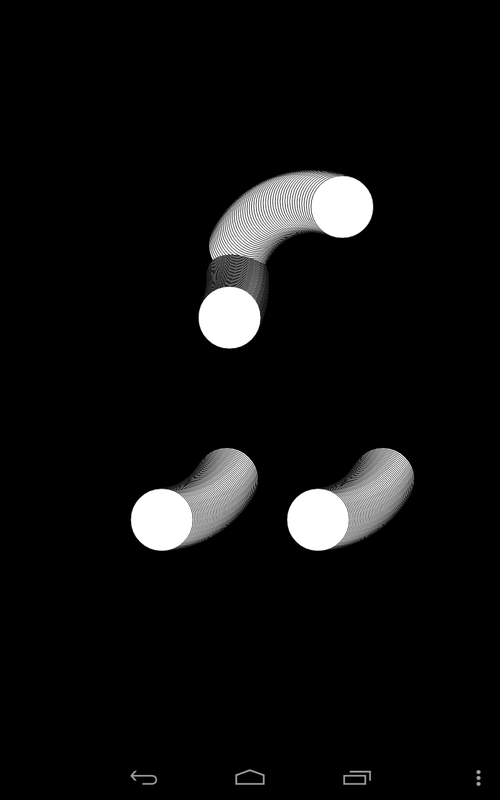 The interface is consists of four moving circles. All of them are doing clockwise circular motion at different speeds; therefore if left alone, they would eventually run into each other, which will cause a reset of the game. 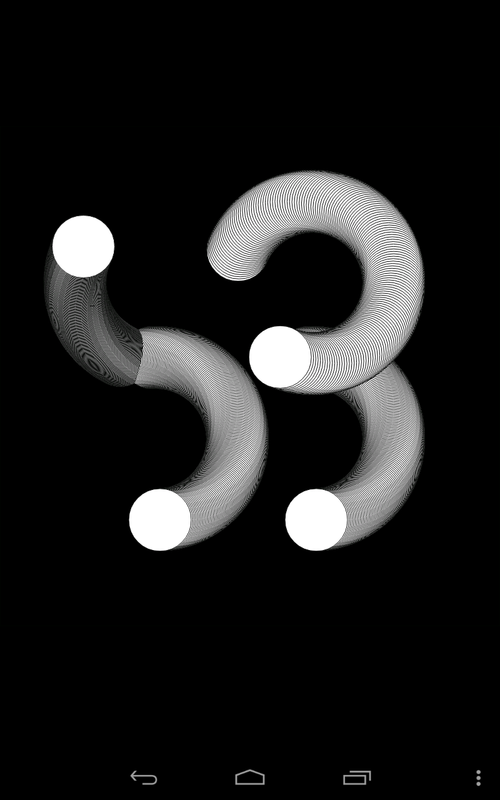 In order to reach the goal (draw an “88” on the screen), the player can tap the circle to change the moving direction to counterclockwise. While the moving direction changes, the speed of the circle will also change, so the right timing is the key of successful game play. When the track is completed, the circles will not stop moving, so the goal become to maintain the “88” for as long as possible. 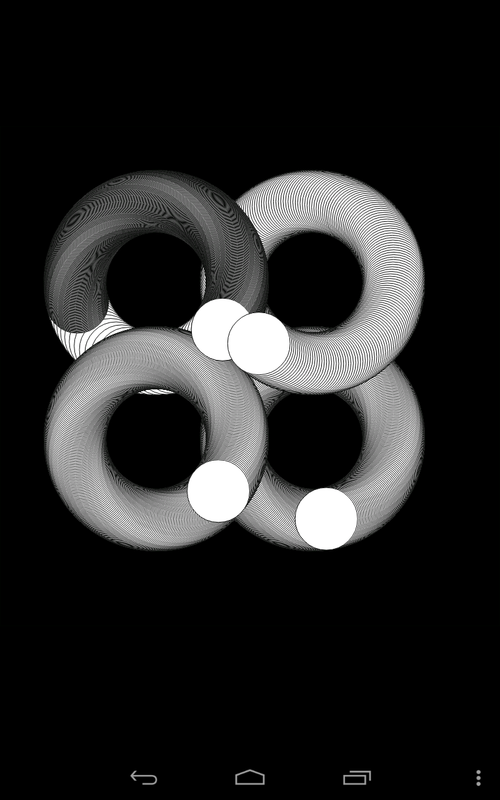 In term of design, the background command is placed in the “setup” function instead of the “draw” function, so circles are drawn on top of each other, and thus forming the grey tracks that look three dimensional. Because of the same reason, these tracks also have different shades when the moving direction changes.